Video is all the rage right now in content marketing. And with a good reason. According to YouTube, mobile video consumption rises by a smashing 100% every single year. When featured in email marking campaign, a video leads to 200-300% increase in click-through rate, and when included on a landing page a video will convert 80% more customers. Why is video key to your Facebook strategy? Because chances are high that your target audience loves to watch videos in their News Feed. Facebook users now watch 100 million hours of video every day. And according to this report, 89% of Australians watch videos on Facebook. 75% of Australian Facebook users check the platform every day, which is above the global 55% average. But how to make sure that your video content has a great reach on Facebook? Here are 5 tips to help the popularity of your videos skyrocket on Facebook. Consumers are used to watching video without sound these days, hence on-screen text is a common video feature. Facebook automatically plays videos without sound so if your audience can read what is being said, rather than opening the video to listen, they are more likely to view your video for longer. Digiday claims that almost 9 in10 Facebook videos are in fact watched without sound. So make sure you include captions that explain what’s happening in the video or serve as subtitles. You can also create a text-based animation that gives a fun spin to your topic. Adding captions to videos increases the watch time by 12% on average, so it’s definitely worth your time. Audiences all over the world love authentic, in-the-moment content. The popularity of platforms like Meerkat, Periscope, or Snapchat proves that. That’s why it’s not surprising that Facebook Live has become popular among marketers. Live streaming videos on Facebook are viewed 3 times longer than non-live content. Facebook Live is now available to everyone, not only verified pages. It’s easy to set up and use. It would be a shame not to benefit from this amazing tool. The greatest thing about Facebook live video streaming is that a notification is sent to your entire network of followers. Previously, users would receive a notification if they’ve recently interacted with the page – now everyone who likes your page will be notified about your video. Live streaming gives a breath of authenticity to a brand (more on that later), but it requires some preparation – after all, it’s live. Brands have been using this feature with tremendous success, and so should you. It doesn’t matter whether your video is live or not – if you choose to present your company life, your product in action, or any other topic, you need to make it authentic and genuine. We’re way past the era when polished explainer videos did the job. Surprise your audience with more spontaneous content. Show your followers behind-the-scenes footage from your company. Explain how your product is made and show your employees at work. Be transparent and you’re bound to capture the attention of your target audience. Nothing motivates a community of followers like a solid reward for sharing a video with their own networks. So make sure you provide an incentive for people to share your content with their friends like access to new items or exclusive content. While video content is engaging on its own, you need to maximise the reach of your video posts to gather as much attention as possible while the video is still fresh. 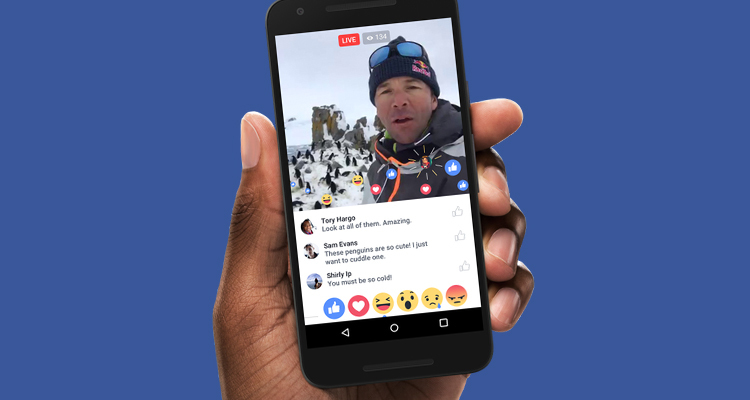 At the beginning of the feature, brands could set Facebook Live to address audiences that could be defined by the general privacy settings (Public, Friends, or Custom). The latest update allows marketers to set events for specific groups of users. If you’d like to show off your newest product to a dedicated group of followers, you can use this feature and create exclusive video content. Perhaps you were thinking about a special Q&A session carried out for an exclusive audience? Facebook Live now lets you do that as well. Let the exclusive group know this content is just for them! A recent study revealed that Facebook is the second most popular place for Australians to watch online video with over 4.1 million people watching, liking, sharing and commenting on video content. Don’t miss out on the video hype and join its momentum right now. Create amazing video content and share with your Facebook followers – this will help you build a strong relationship with your fan base. Sophia Beirne is passionate about providing helpful content and sharing her tips and experiences. She has been featured in a number of online publications. With a background in business administration, she’s most interested in entrepreneurship and effective project management. Sophia works at Career FAQs, Australian company specialising in online courses and career resources.